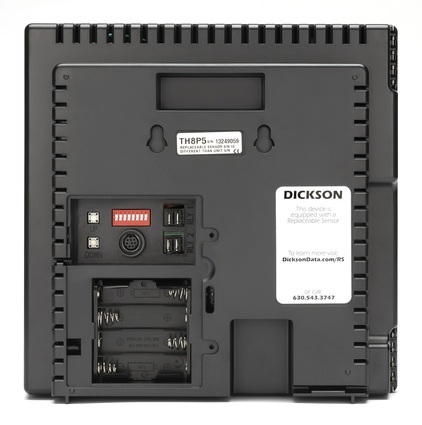 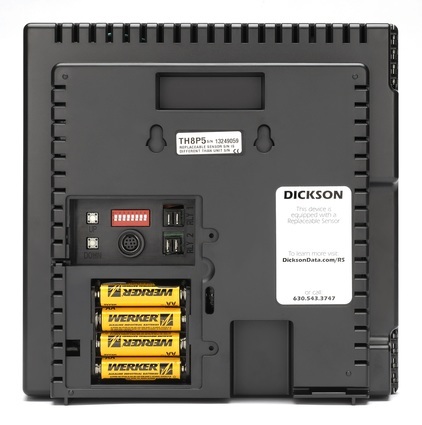 The TH8P5 (equipped with field REPLACEABLE SENSOR) has the features to direct your attention to out-of-range condition with both audio/visual alarms, a large digital display of current or min/max conditions, remote probe and relay contacts. 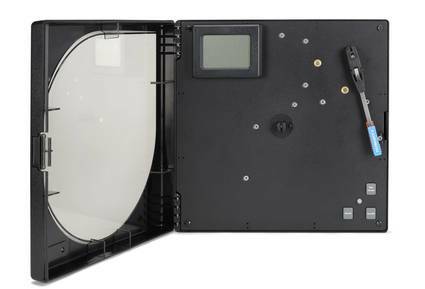 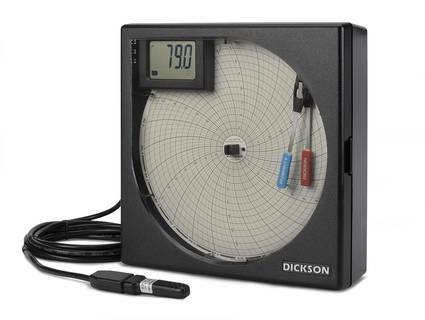 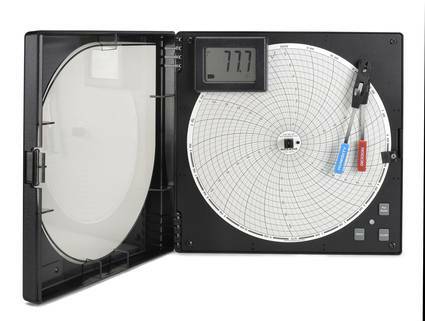 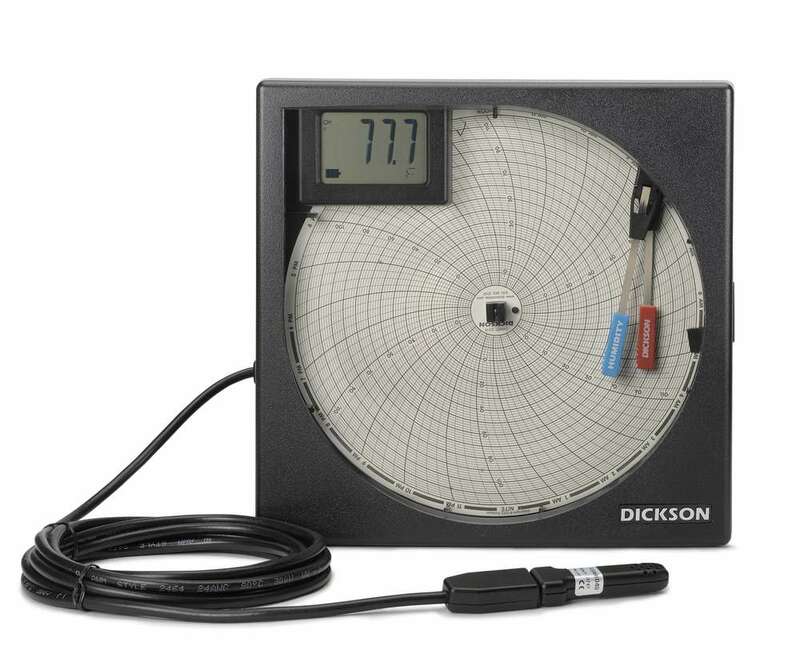 This is our most versatile, high resolution temperature and humidity chart recorder. 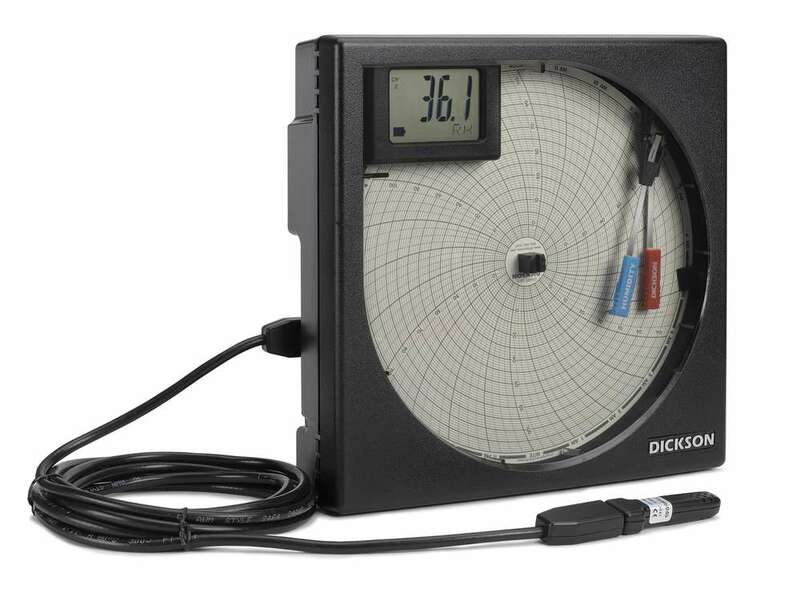 Remote Probe Dimensions Field Replaceable Sensor houses thermistor and RH sensor in polycarbonate plastic 2.5" x .8" x .5"